One of the great things about summer is that Disney tries to keep ride closures to an absolute minimum so that there are lots of attractions for people to enjoy. Magic Kingdom: The big Fantasyland expansion is well underway and has changed the places you go to see some of your favorite characters. You can see the Little Mermaid characters intermittently at the Adventureland Verandah Porch (check your theme park times guide) but please note that Ariel appears in her human form here and does not have fins. The Disney Princess, Mickey Mouse, and Minnie Mouse Meet-and-Greets are now offered at the new Town Square Theater. FASTPASS tickets available. TinkerBell & Friends now meets guests at Tinker Bell’s Magical Nook in Adventureland. Magic Kingdom: The Liberty Square Riverboat will be closed from August 4 – 10, 2012. Magic Kingdom: The Country Bear Jamboree with be closed from August 22 – October 16, 2012. Epcot: Test Track will be closed April 2012 – Fall 2012. 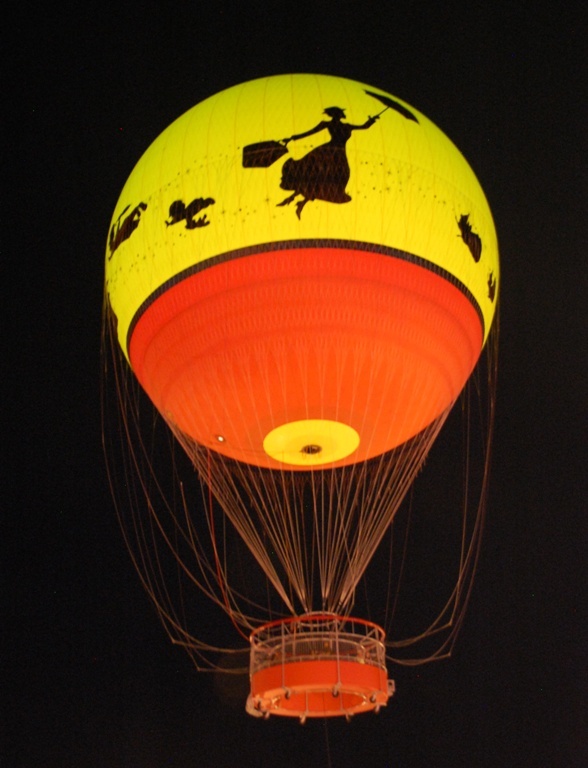 Downtown Disney – Characters in Flight balloon closed indefinitely. Disney’s Beach Club Resort – Cape May Restuarant closed July 9 – August 4, 2012. 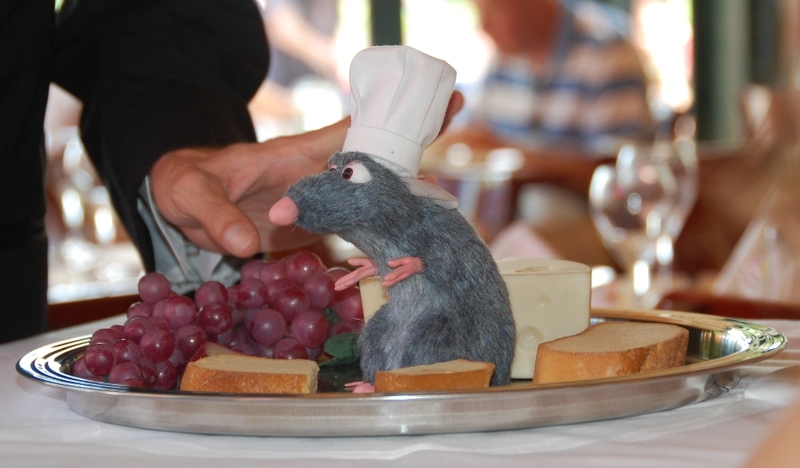 Disney’s Grand Floridian Resort – Citricos Restuarant closed July 23 – August 3, 2012. Disney’s Grand Floridian Resort – Gasparilla Grill & Games (food court) closed from August 24 – December 16, 2012. Disney’s Yacht Club Resort – Yachtsman Steakhouse Restuarant closed August 27 – September 14, 2012. Disney’s All-Star Sports Resort – Surf Pool wil be closed from August 6 – September 7, 2012. The Grand Slam pool will remain open. If you enjoy the pools, you may want to call your travel agent to see if you can move to one of the other Disney value resorts with no pool closures without increasing your cost. Disney’s Grand Floridian Resort – Courtyard pool closed August 24 – early December 2012. The Beach Pool will remain open during this time. Disney’s Magnolia Golf Course closed August 6 – 12, 2012. Disney’s Palm Golf Course closed August 13 – 19, 2012. Disney’s Lake Buena Visa Golf Course closed August 20 – 26, 2012. Disney’s Osprey Ridge Golf Course closed August 27 – September 2, 2012. Disney’s Magical Express (Airport Shuttle Service) – This wonderful service providing transportation between the Orlando International Airport and your Disney resort hotel is offered 24 hours a day but luggage service is not offered for arrivals after 10:00PM. If you have a late-night arrival, you simply need to collect your bags and take them with you on the bus. New Disney World Resort – Disney’s Art of Animation Resort is now open. Disney’s Art of Animation Resort – The Finding Nemo and Cars sections are both now open at Disney’s Art of Animation Resort. Construction continues on the Lion King & Little Mermaid areas. Did you know that they’ve included special recordings of music and the Finding Nemo characters that you can only hear under the water in the “Big Blue” swimming pool? We’ve added a lot of great new photos of this resort here. Build A Better Mouse Trip gives you a better Disney vacation by taking the stress out of trip planning & providing theme park touring plans. We book directly with Disney so you never pay more than if you booked the reservation yourself and we provide lots of help and advice designed to take the stress out of vacation planning at no extra cost to you. 1) Help with selecting the right resort or hotel for your budget. We don’t just book Disney resorts – we’re happy to make reservations at other accomodations too. Summer Vacation means lines and crowds. The first two weeks of August will see peak crowds (an 8- 10 on a crowd scale of 1-to-10). A good touring plan will keep you ahead of the crowds and out of the long lines. Avoid Extra Magic Hours! We recommend that everyone avoid the Extra Magic Hours during the busy summer season. Disney has 33,000 hotel rooms and no one goes to Disney alone – that means too many people are pointed in the same direction at the same time. You’ll have a much nicer time by going to a less busy park. This is doubly important if you are not staying at a Disney resort – you don’t want to get to the theme park and find a bunch of Disney guests in line in front of you. Main Street Electric Parade (Magic Kingdom) –This parade is offered August 1 – 18, 20, 23, 24, 25, 27, 30, 2012. The following dates do not have a nighttime parade: August 19, 21, 22, 26, 28, 29 & 31. The Main Street Electrical Parade will be offered twice on August 2, 3, 5, 6, 7, 8, 9, 10, 13, 16, & 17 – the second (later) parade is always less crowded than the first one. Avoid Character Breakfasts during August! – The theme parks will be at their least crowded and coolest when the parks open. It is far better to book a lunch or dinner reservation that gets you out of the direct sun and out of the crowds a little later in the day. 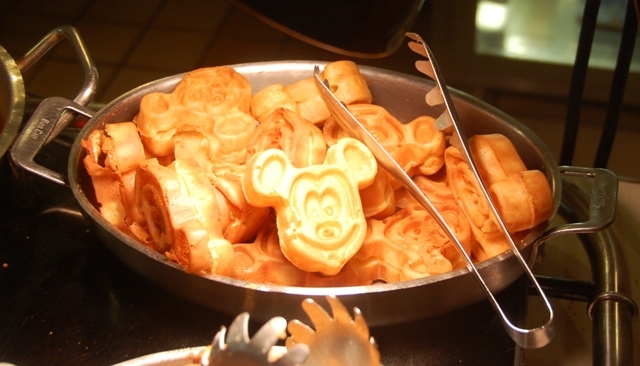 If you’re really looking forward to a character breakfast, try a resort character breakfast before going to the water parks or on your departure day. Another option is to book the latest possible reservation and treat it like brunch, rather than breakfast. Disney Discounts & Promotions – You can still save money on your August trip to Disney World. Disney World Late Summer Savings Offer for August 15 – September 29, 2012 – Must book by August 14. Disney is offering a discount on the room portion of “room only” and package reservations for arrivals August 15 – September 29, 2012. The Discount only applies to the room portion of your Disney World “Magic Your Way” package that includes theme park admission tickets and, if desired, a Disney Dining Plan. This promotion must be booked by August 14, 2012 and is subject to availability. Blackout dates may apply; only one discount or promotion per reservation. Military & AAA discounts may still be available for rooms at the Disney World resort hotels. Only one discount or promotion per reservation. Build A Better Mouse Trip is an independent, Disney-focused travel agency. 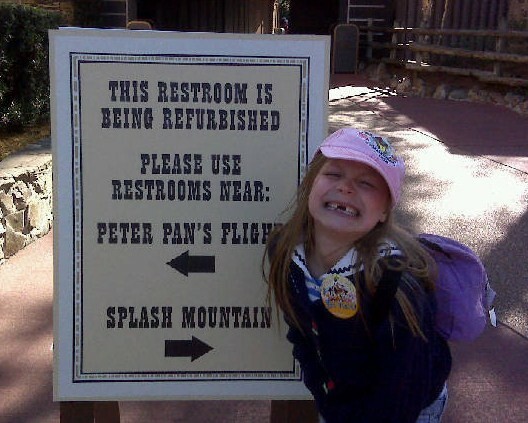 We book directly through Disney but are not employees of the Walt Disney World Travel company. Your Arrival (Check-In) must fall between these dates: September 30 – October 4 / October 19 – November 1 / November 9 – 15 / November 23 – 29 / December 10 – 13, 2012. Disney has offered a Free Dining Promotion to guests booking a Disney vacation package for select dates from September 30 – December 13, 2012. Your arrival date must fall within the promotion dates but your departure date can extend into the blackout dates. Book a qualifying vacation package at a Disney moderate or deluxe resort and receive the Standard / Plus Dining Plan at no extra cost. This dining plan includes 1 counter-service meal credit, 1 table-service meal credit, and 1 snack credit per person, per night of stay. Receiving this dining plan free of charge saves a family of four about $107 or more per night of stay, based on the regular cost of this dining plan. You can upgrade to the Deluxe dining plan and just pay the difference between the standard and the deluxe plans. Contact us for details. Book a qualifying vacation package at a Disney Value Resort (All-Stars, Pop Century, or Art of Animation) and receive the Disney Quick-Service Dining plan at no extra cost. The quick-service plan provides two quick/counter-service meals + 1 snack per person, per night of stay. Receiving this plan at no extra cost saves a family of four about $85 per night of stay. You can upgrade to the Standard or Deluxe dining plans by paying the difference between the quick service dining plan and your preferred dining plan. Contact us for details. Travel Dates: Your arrival (check-in) date must fall within these days to qualify for the free dining promotion: September 30 – October 4, 2012 / October 19 – November 1, 2012 / November 9 – 15, 2012 / November 23 – 29, 2012 / December 10 – 13, 2012. Minimum Requirements: Must purchase a package that includes three (3) Consecutive nights stay at a Disney Resort + at least 2-Day Disney Magic Your Way theme park Tickets. Must book by September 29, 2012. There are a limited number of promotional packages available at each resort so book early to get your first choice in travel dates and resort. Deposit: A $200 deposit is required at the time of booking to qualify. The balance is due 45 days prior to arrival. Most Suites and campsites are excluded from this offer. The Family Suites at Disney’s Art of Animation Resort are included in the promotion but standard rooms at Art of Animation are excluded. The Cabins at the Fort Wilderness campground are included in the promotion. If you do not have us book this for you, be sure to tell the booking agent that you want the free dining promotion. They do not automatically apply promotions to new or existing reservations – you must specifically ask for the discount. Existing reservations falling within these days can be altered (subject to availability) to reflect the free dining promotion. Call and ask to have the discount applied – it will not happen automatically. Dining Reservations – Dining can be booked up to 180 days prior to your arrival. Book your dining reservations as soon as you are eligible. The free dining promotion has a serious impact on the number of available dining reservations and some restaurants will fully book very early. Remember that we book dining reservations on your behalf (subject to availability) when you book your Disney vacation through Build A Better Mouse Trip. Even More Free Things: In addition to the free dining promotions, you can receive vacation planning help at no additional cost when you book your Disney vacation through Build A Better Mouse Trip. We help with establishing a “Best Days” itinerary, help with dining reservations, and provide either a subscription to TouringPlans.com, TourGuideMike.com or an Unofficial Guide to Walt Disney World (guidebook) to help you with touring plans that keep you ahead of the crowds and out of the long lines. Contact us today to book your vacation. Book a qualifying vacation package at a Disney Value Resort (All-Stars or Pop Century) and receive the Disney Quick-Service Dining plan at no extra cost. The quick-service plan provides two quick/counter-service meals + 1 snack per person, per night of stay. Receiving this plan at no extra cost saves a family of four about $85 per night of stay. You can upgrade to the Standard or Deluxe dining plans by paying the difference between the quick service dining plan and your preferred dining plan. Contact us for details. You must pay the $200 deposit with your Disney Visa at the time of booking to qualify. The balance is due 45 days prior to arrival. Suites and campsites are excluded from this offer. The Cabins at the Fort Wilderness campground are included in the promotion. We expect this offer to be released to the general public on July 12, 2012. In addition to the free dining promotions, you can receive vacation planning help at no additional cost when you book your Disney vacation through Build A Better Mouse Trip. We help with establishing a “Best Days” itinerary, help with dining reservations, and provide either a subscription to www.touringplans.com, www.tourguidemike.com, or an Unofficial Guide to Walt Disney World (guidebook) to help you with touring plans that keep you ahead of the crowds and out of the long lines. Contact us today to book your vacation. Please let me know if you have any questions about the above information – I’m here to help. The Characters in Flight ballon at Downtown Disney Westside has been removed for inspection following a 60 meter drop due to a leak by a similar balloon at Hong Kong’s Ocean Park.